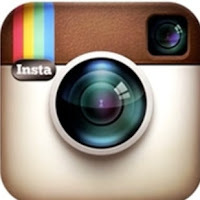 A frustrated young woman today tried to end her own life in Lagos but she was stopped. 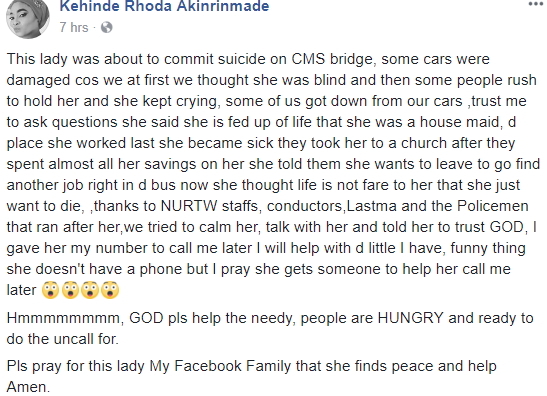 According to popular social media icon, Rhoda Akinrimade, the lady whose name was not revealed was heading to Ojuelegba today when she attempted suicide over lack of money. 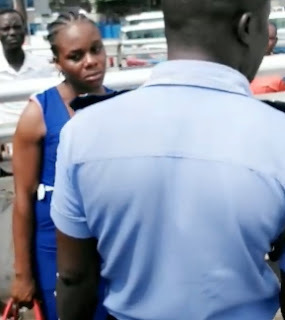 Akinrimade in a short video uploaded on Facebook this afternoon revealed that the lady said she’s fed off because she has no money having spent all she had on sickness.